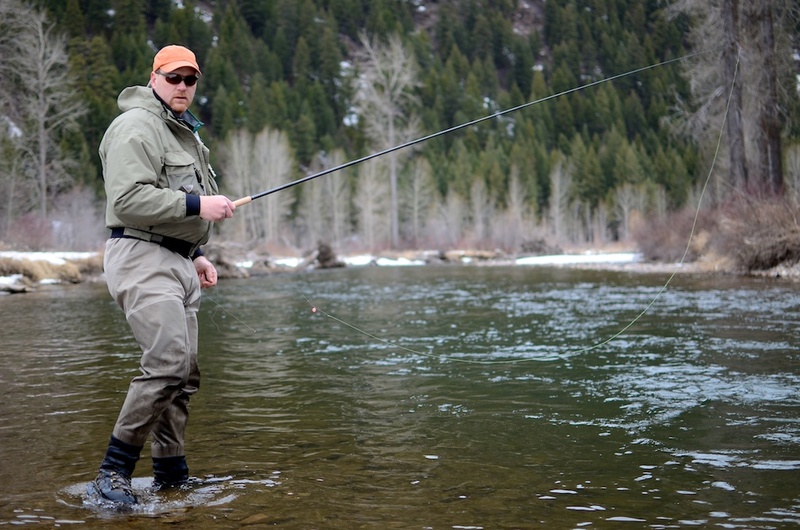 Brian and I have been friends, and fly fishing partners, for a long time. 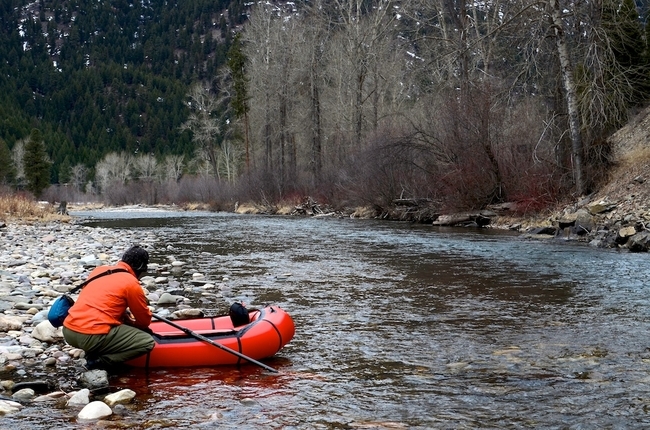 We’ve spent a fair bit of time logging trail miles and floating together, always searching for streams off the beaten path that hold big trout. 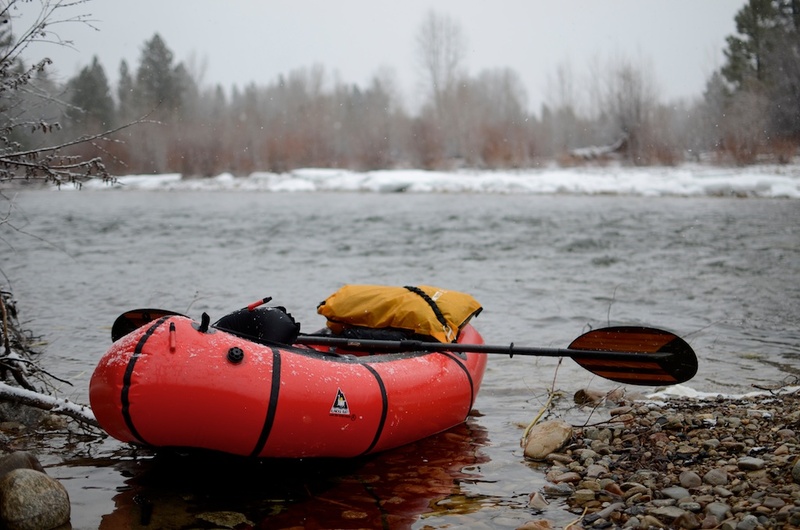 We like to spend our Spring Breaks in Western Montana. 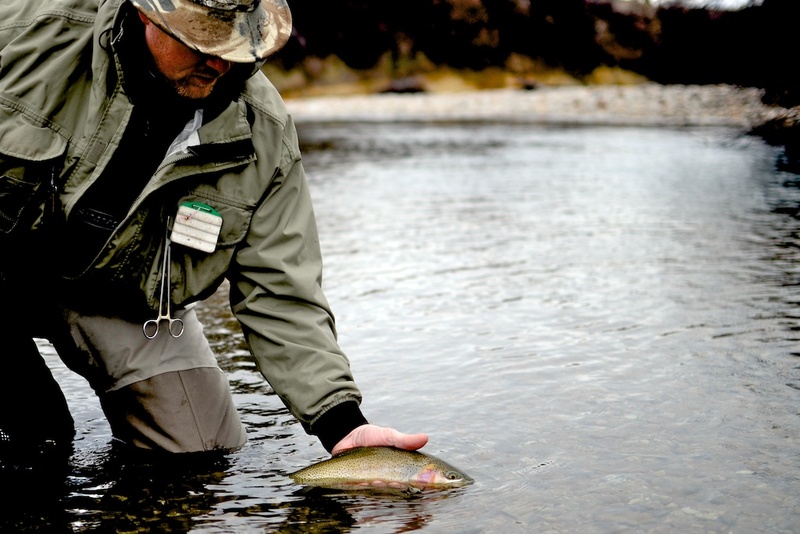 Sure, the beaches are a bit snowy and we can’t wear Speedos and Reefs, but we do float some beautiful water and tie into some fantastic trout fishing for big, wild Montana rainbows and cutthroats. 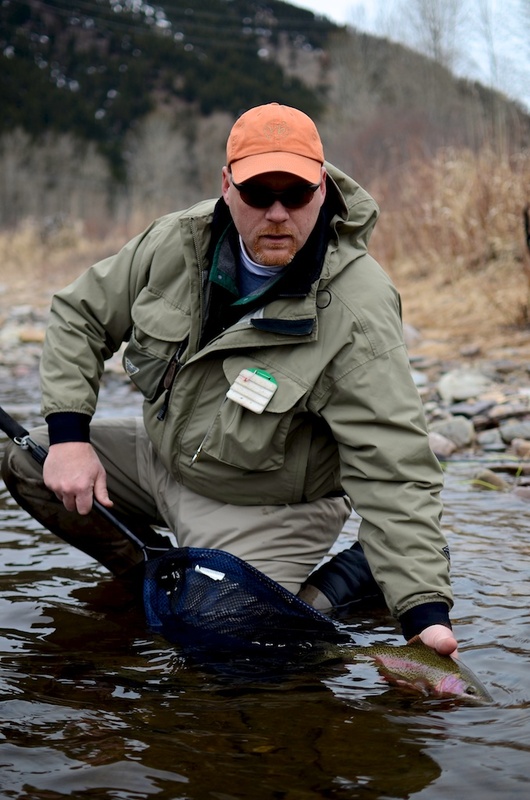 I have fished Tenkara exclusively on our last two spring break trips, and mostly with soft hackle nymph patterns that mimic the soon-to-erupt skwala stoneflies. 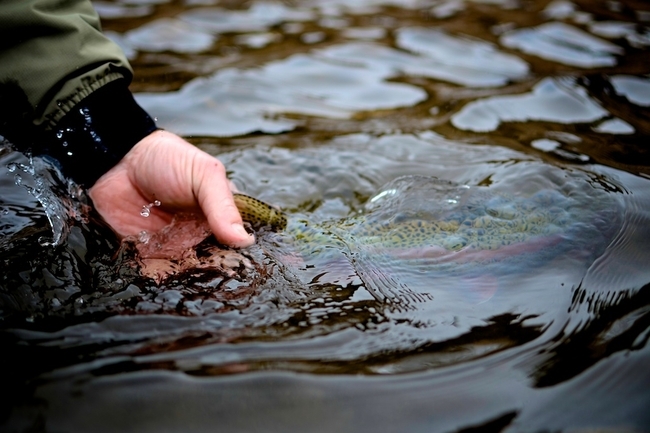 Occasionally, we get to cast to tiny midges which start hatching profusely this time of year. 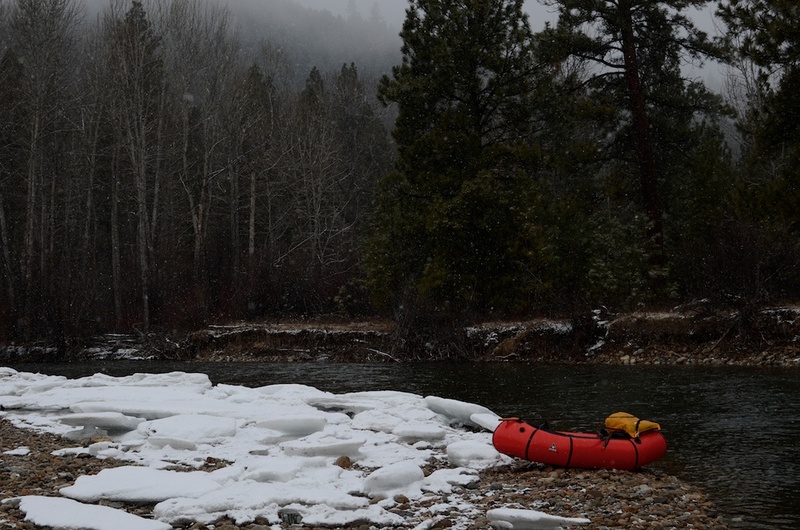 Our launch site on the West Fork of the Bitterroot on a cold and snowy March day. My packraft of choice: an Alpaca, the smallest model from the Alpacka Raft Co. Floating the West Fork Bitterroot on a dreary day is dark, wet, and cold, made more pronounced by the deep ponderosa forests flanking its banks, and the occasional ugly logjam. 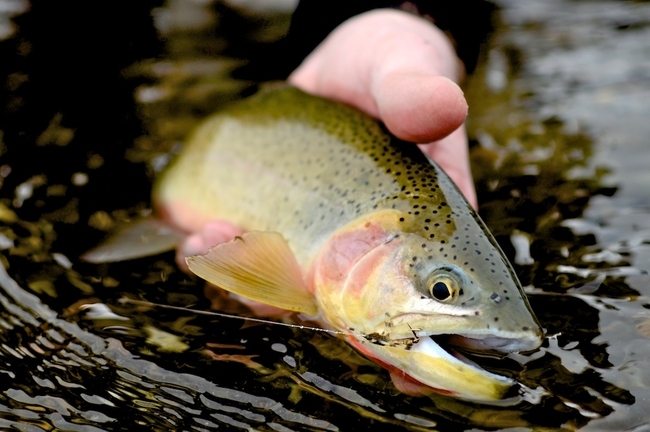 The West Fork Bitterroot is home to beautiful wild cutthroat trout. This cutthroat was picked up on a stonefly nymph, fished deep, in a very slow run. 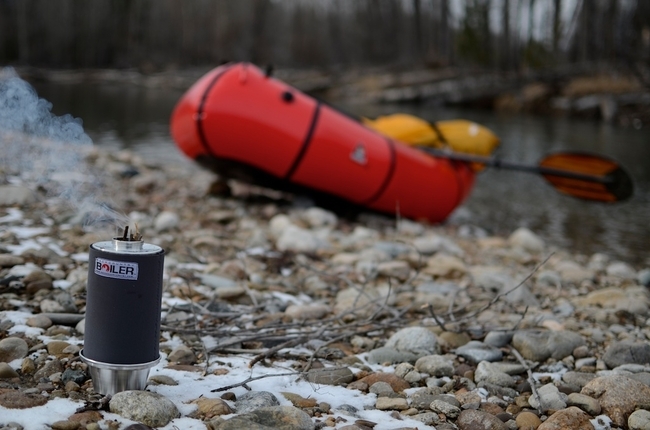 Afternoon tea is an important component of both my packrafting, and fishing trips. On the banks of the West Fork Bitterroot, I boiled water for tea using the beautiful wood-fired Backcountry Boiler. 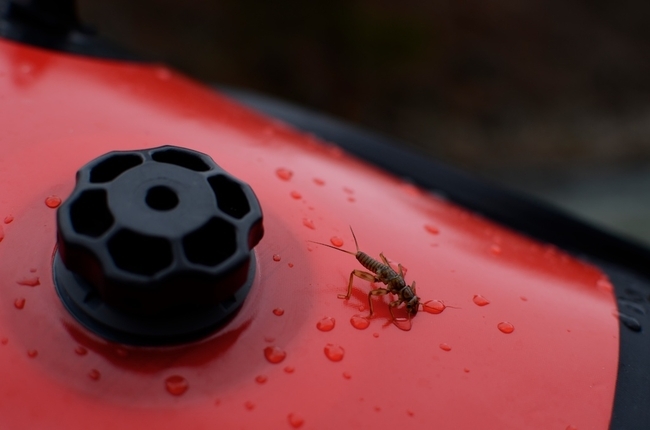 Golden stonefly nymph, and Alpacka raft. A Bitterroot rainbow about to be released to grow a little bit bigger. 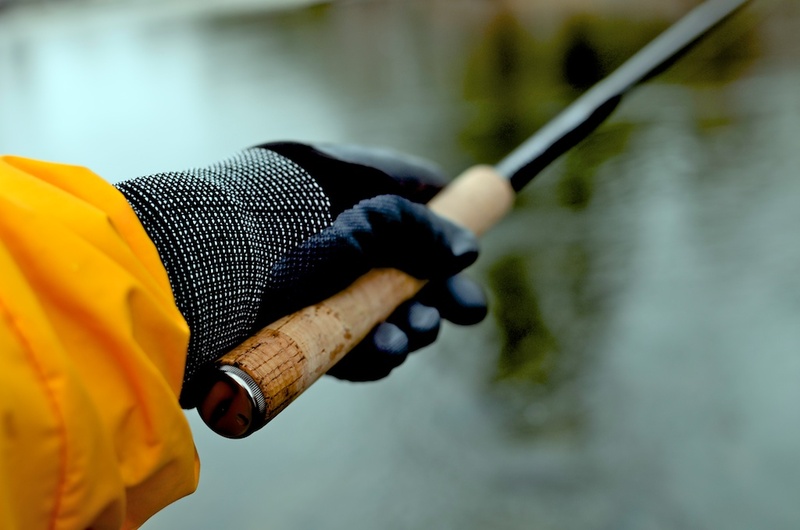 The Tenkara Hane, my rod of choice on this trip. At the launch site for Rock Creek, another one of Montana’s beautiful trout streams. Brian with a Rock Creek Rainbow. A large and healthy Rock Creek rainbow. Off to see another day. 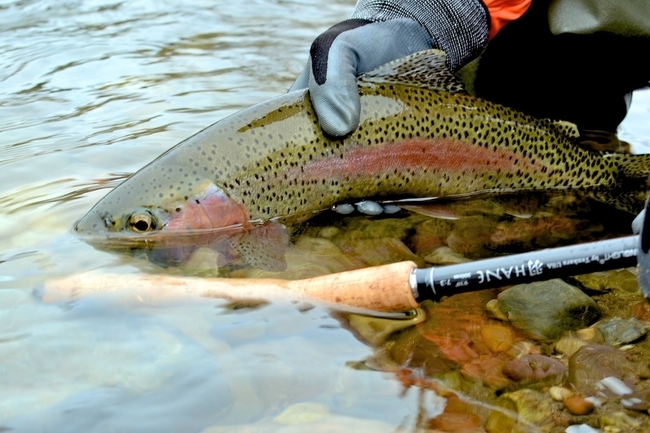 The Tenkara Hane is a wonderful little rod, but perhaps too little for larger streams like the West Fork Bitterroot and Rock Creek. 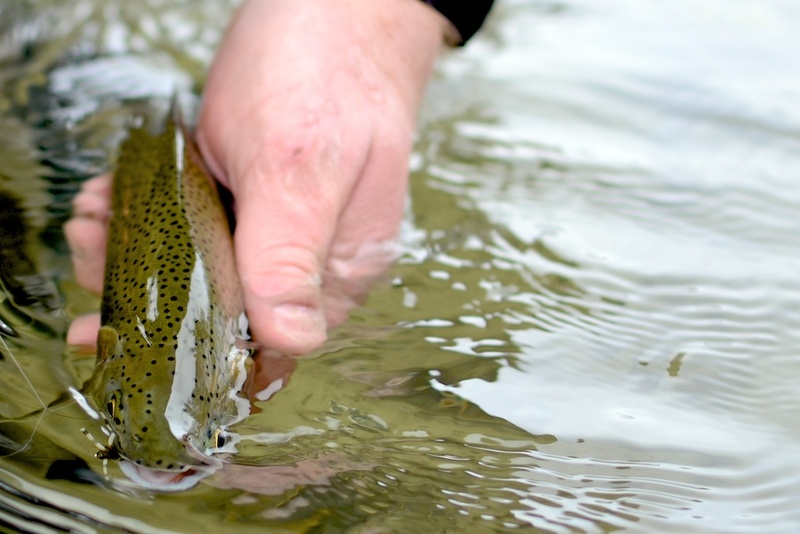 To catch this trout, I had to wade into water as deep as my chest in order to reach the lie where this fish was calling home. Spring Break, on the beach. Montana style! Brian fishing a long, slow, deep run on lower Rock Creek. My Trophy of the day, caught on Tenkara, this Rock Creek rainbow sipped the fly with a barely perceptible tug. 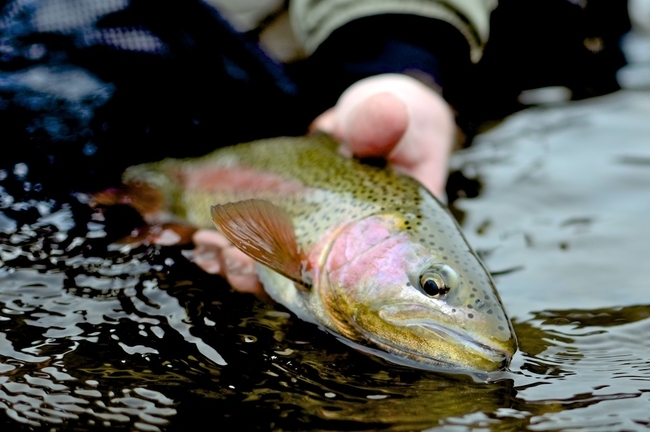 Rainbows in both Rock Creek and the Bitterroot have beautiful pink gill plates and stripes, and vibrant olive bodies. 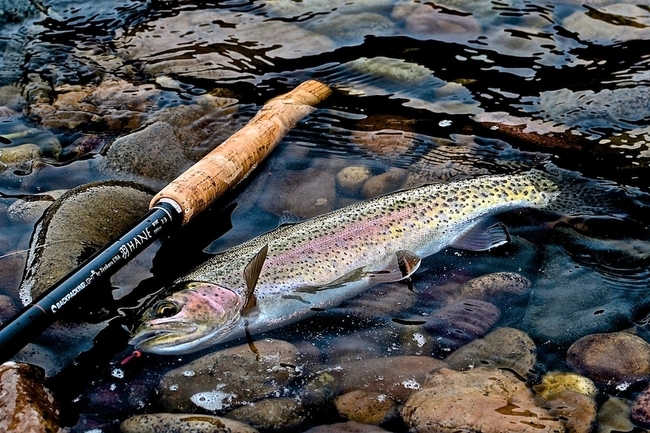 I’ve caught a lot of trout, and their beauty never ceases to amaze me. 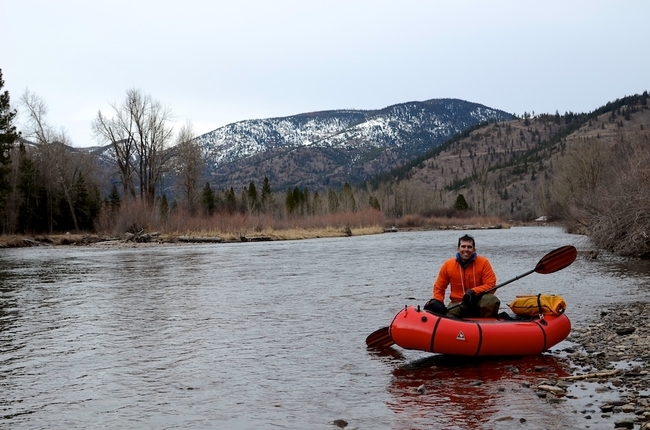 At our take out, after floating Rock Creek plus a few miles of the Clark Fork below the confluence. Ryan Jordan is a licensed fishing guide in the state of Montana and one of the only guides in the USA to focus exclusively on teaching and guiding traditional Japanese tenkara methods. 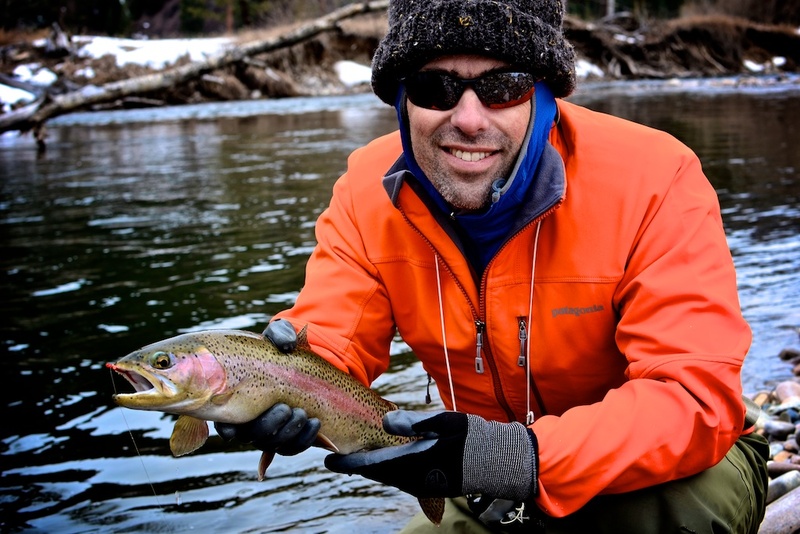 Learn more about tenkara and catching large, wild Montana trout by visiting Ryan’s tenkara page.